With spring in full swing, our men worked hard in May to prepare properties for the start of summer. In addition to their normal maintenance routines, our crews have been pruning azaleas, putting out crab grass pre-emergent and fertilizing lawns, trees and shrubs. If you did not receive these treatments, please speak with your Maintenance Account Manager immediately. 1. 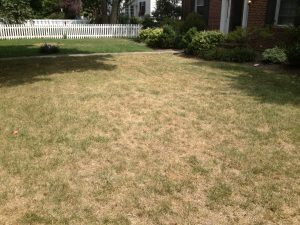 As the heat index rises, check for dry spots in your landscape. You can recognize these by localized areas of change in the green color of your turf and wilted leaves on trees and shrubs. 2. 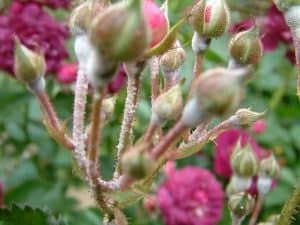 Powdery mildew is a common problem this time of year on crape myrtles and roses. A white spotty substance will begin to appear and gradually spread on the leaves or blooms of these plants. 3. We recommend keeping an eye on your cypress trees and juniper plants over the next few months as bagworms can develop on branches. 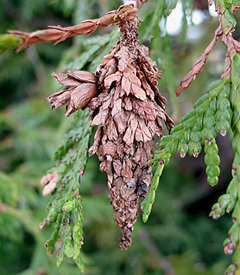 We typically see this insect in leyland cypress, cryptomeria and arborvitae. 4. 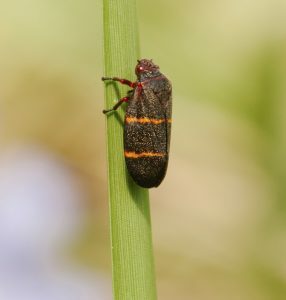 This time of year, spittlebugs occasionally infect zoysia grass. You can identify the bug by the yellow stripes against its black base.